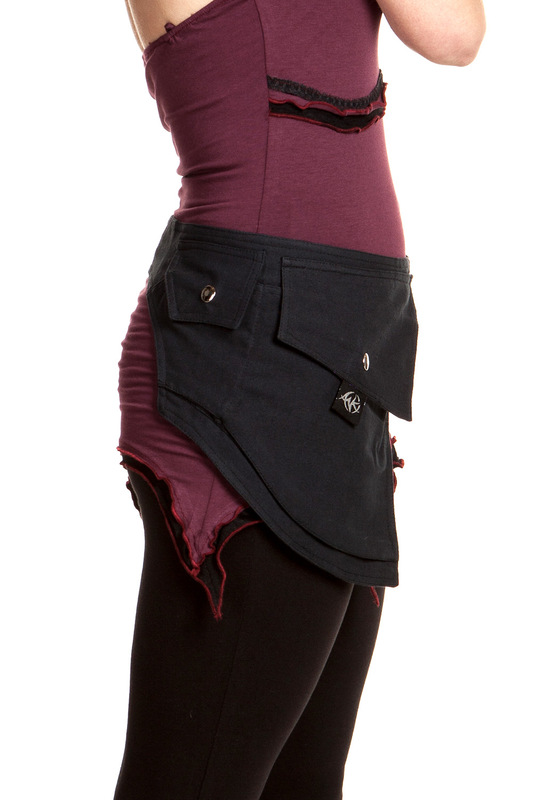 A roomy pocketbelt made of hard-wearing cotton canvas. 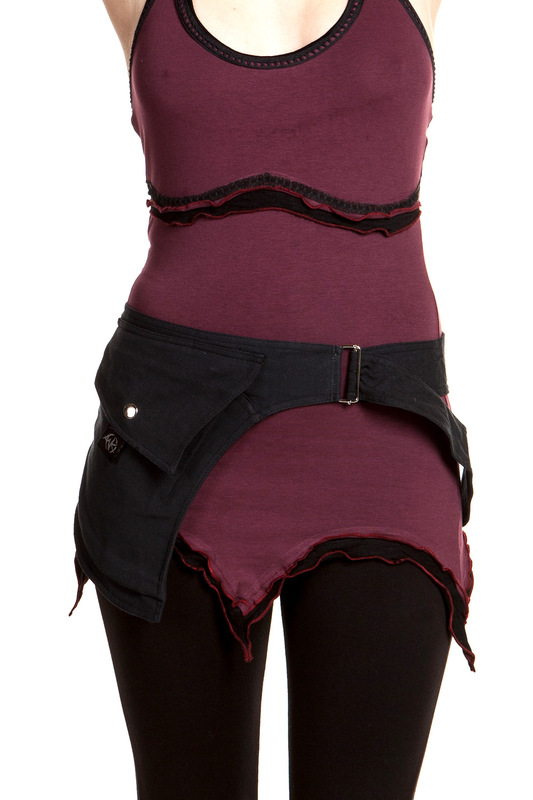 Does up with a slide buckle that adjusts to fit (goes from 20" to 40" waist size). The small pocket is approximately 4x4" and the large one is 8x7". The large pocket has a zipper section for valuables. This colourful, unique design is great for using as a bumbag at festivals and forest parties. Also very handy for daily, casual wear.